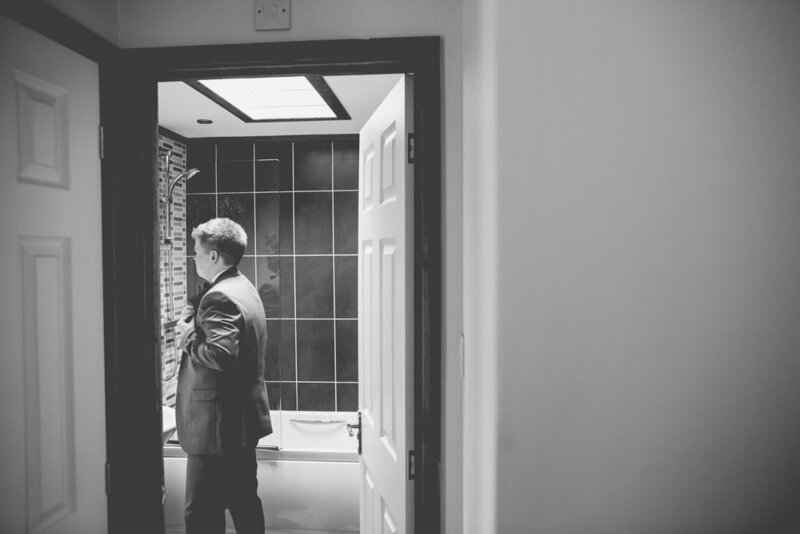 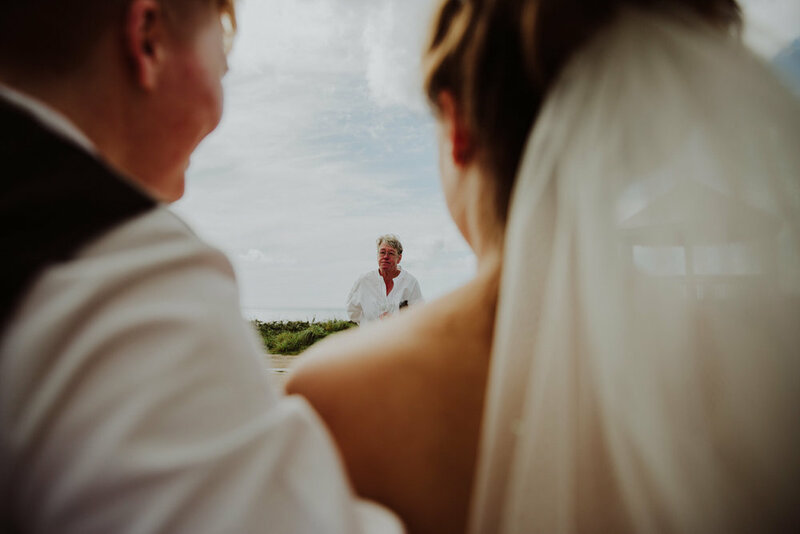 I do love an elopement! 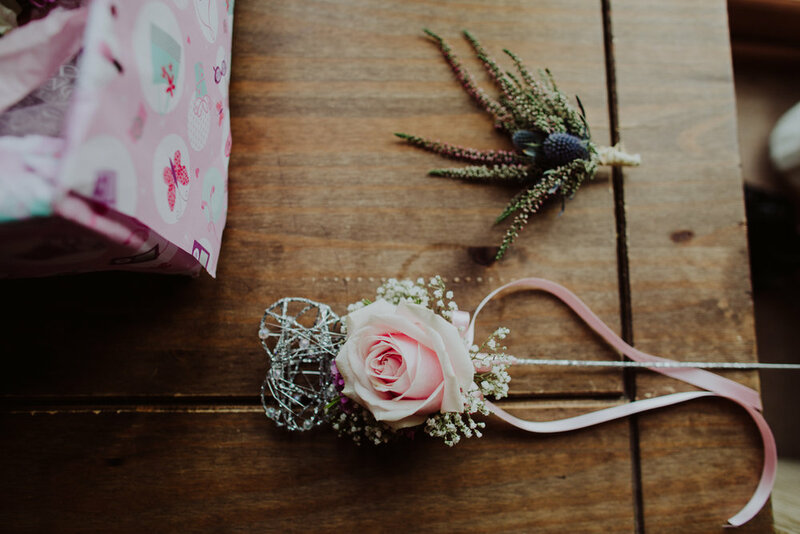 There is always an touch of Victorian-literature-esque illicit romance with an elopement wedding (well, in my mind at least - that'll be from reading one too many Bronte novels growing up!!). 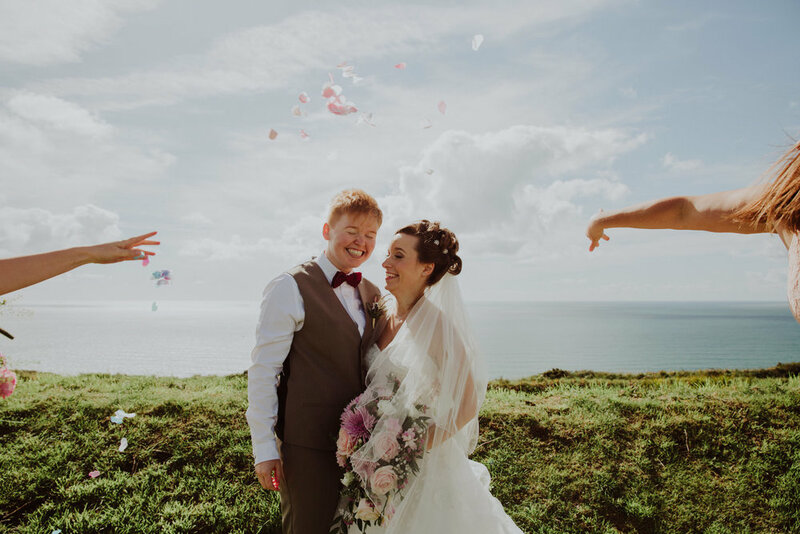 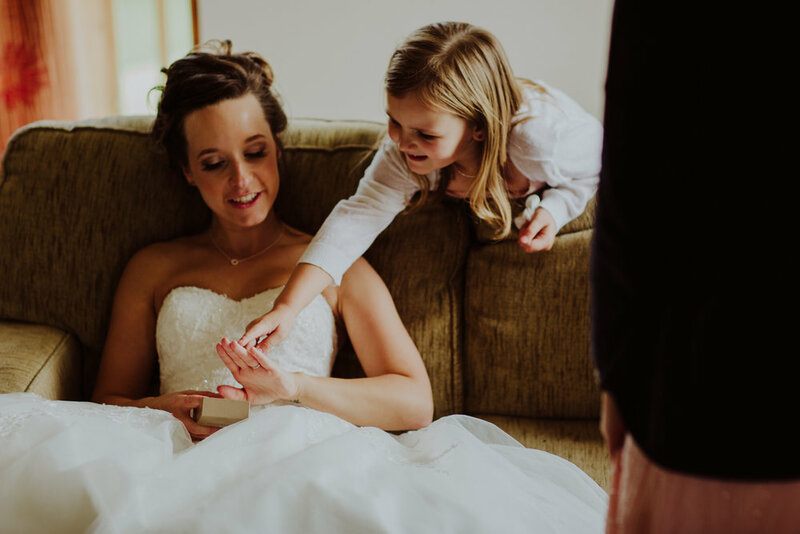 Beth and Corran wanted to slip down to the beautiful Cornish coastline to say their vows in front of their immediate family before announcing their big secret to wider family and friends in their hometown before celebrating with a massive party for all. 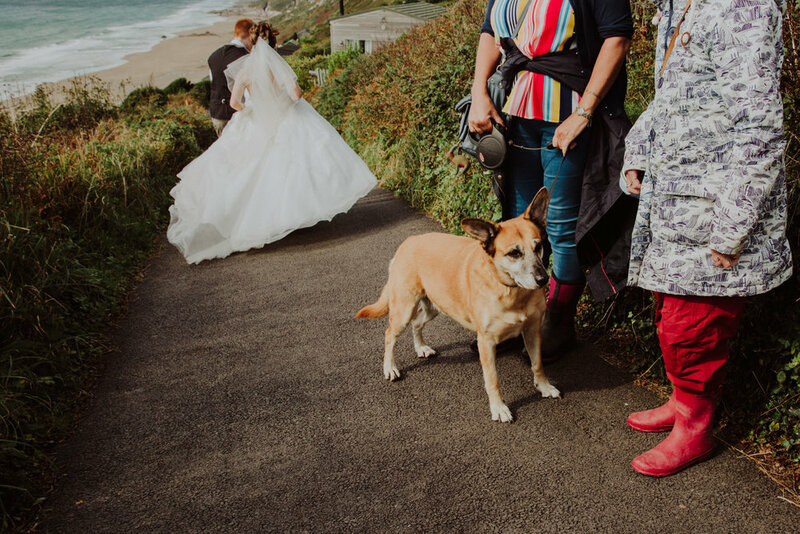 When you plan for a Cornish wedding beside the sea in (especially a cliff-top one) there is always an element of risk. 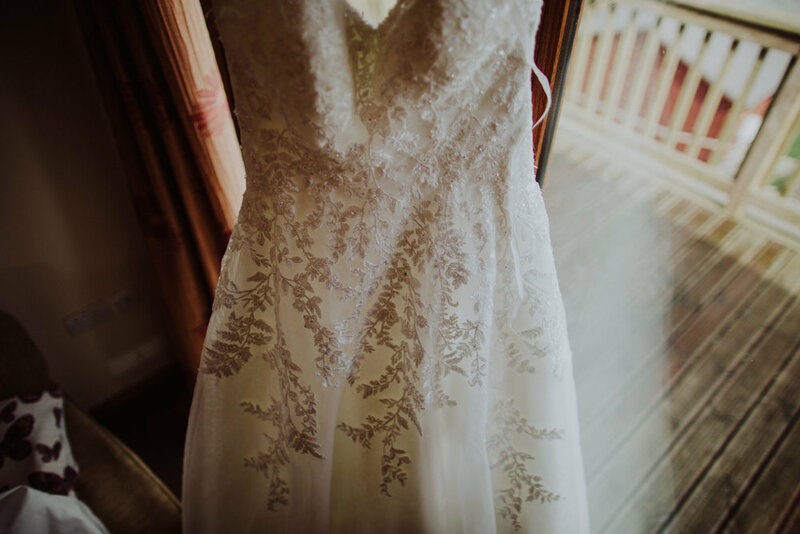 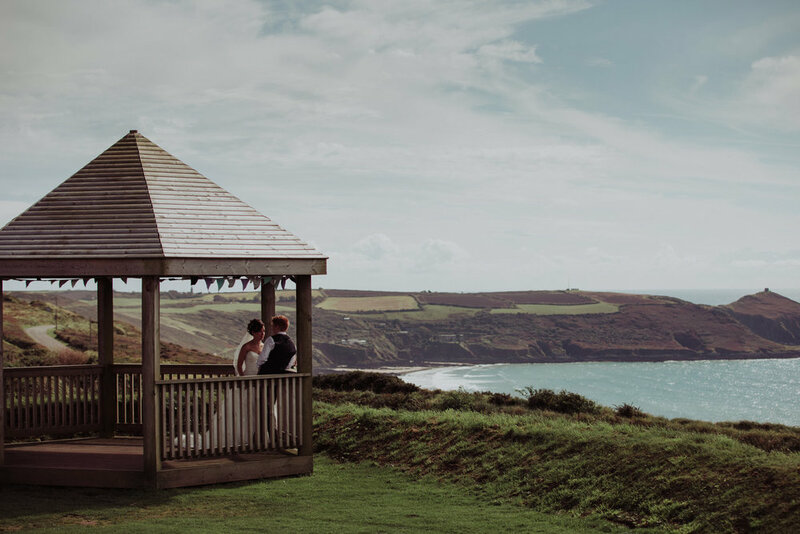 Devon and Cornwall owe their lush green beauty to a rather inclement climate and unfortunately on the morning of Corran and Beth's big day a Cornish downpour decided to thwart the cliff-top ceremony. 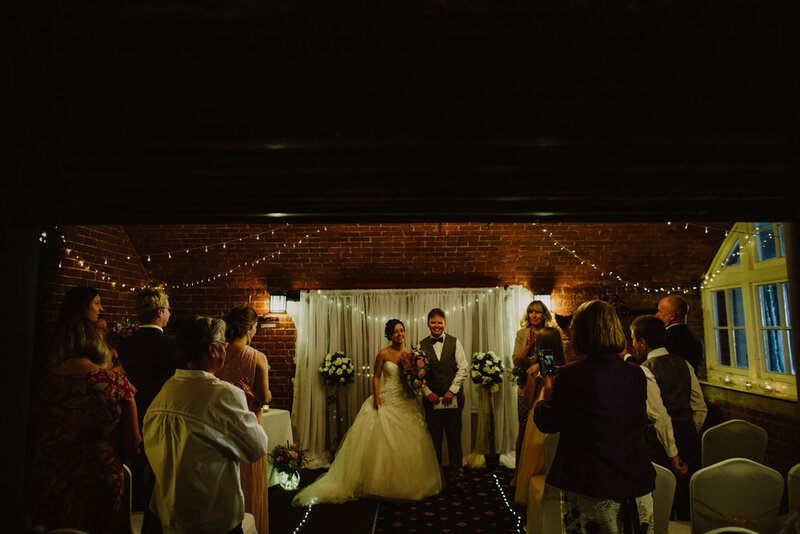 That was no problem though, the wedding at Whitsand Bay Fort was able to be conducted inside the cavernous fort buildings instead, decorated prettily with fairy lights it made for pretty backdrop for the intimate elopement wedding ceremony. 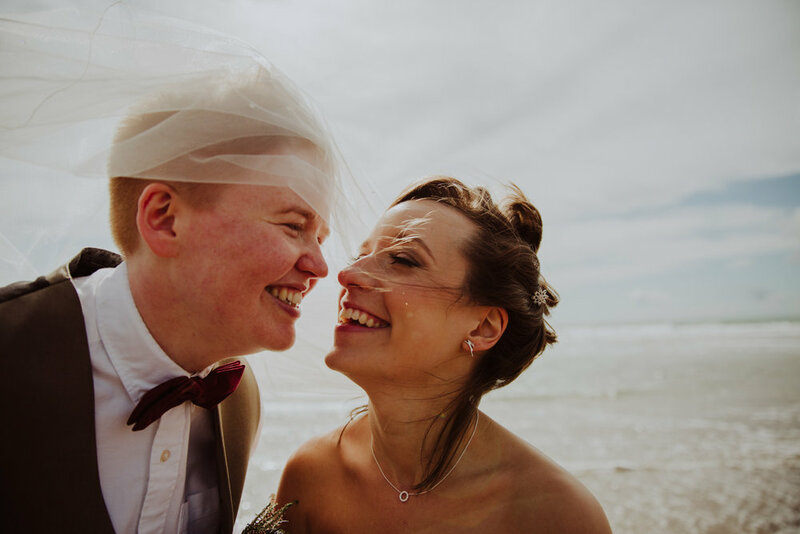 Giggles and smiles aplenty, Beth and Corran made their vows before going outside into what was by then glorious sunshine. 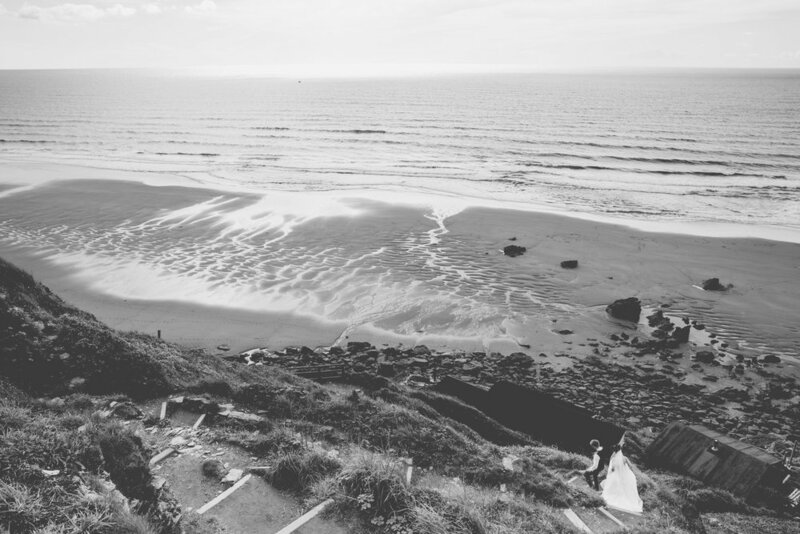 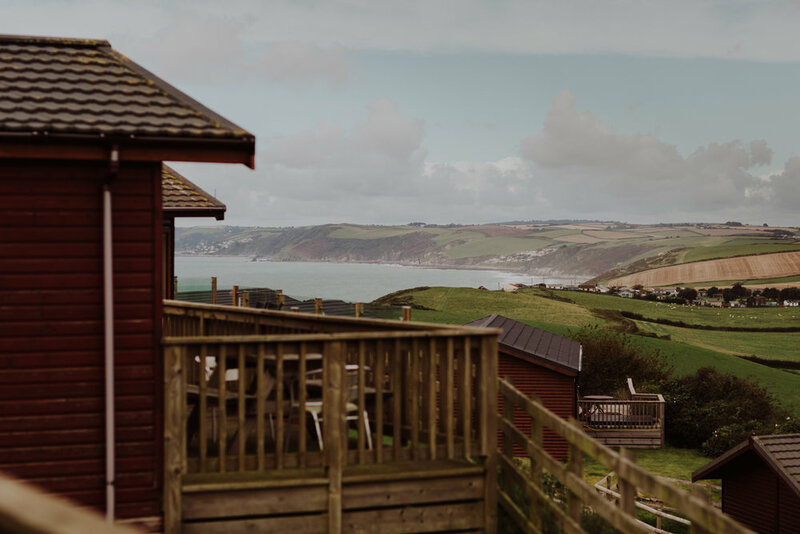 Somehow Cornwall had pulled it out of the bag on their wedding day and they were able to realise their dreams of going down onto the gorgeous Whitsand Bay beach straight after their wedding. 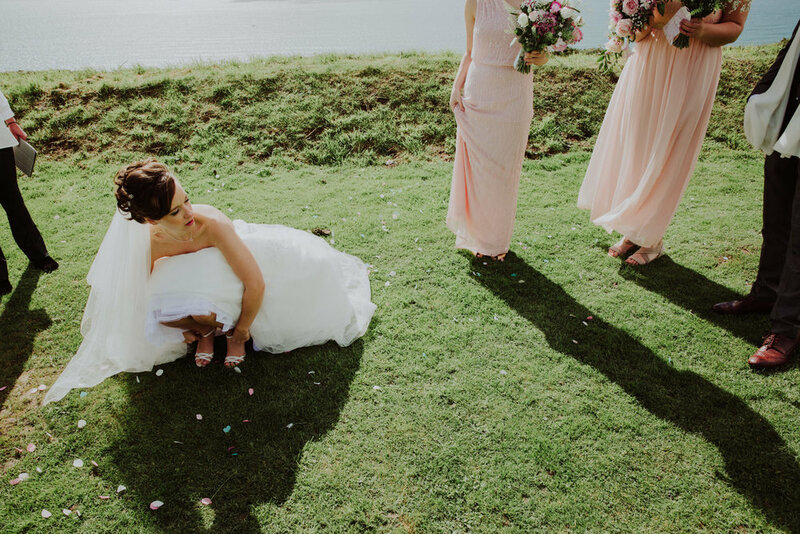 I'm not going to lie...the walk down the cliff was BY FAR easier than the walk back up (Beth somehow making incredibly light work of the steep stomp for someone dressed in a beautiful flowing wedding gown!). 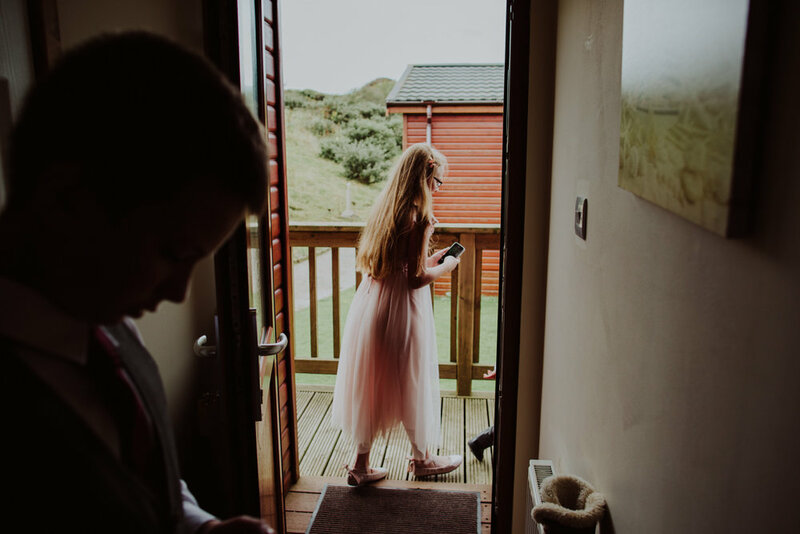 It was totally worth it though, Beth even braved a paddle whilst Corran went on dress holding duty! 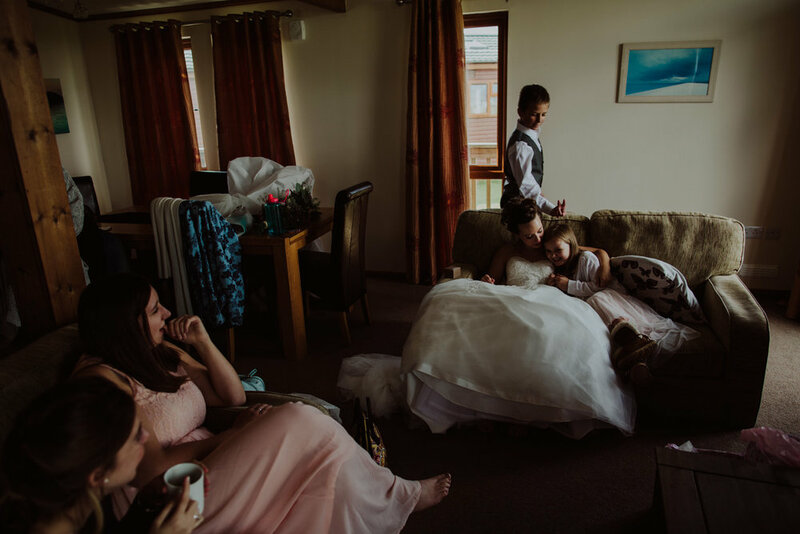 All before heading back to Whitsand Bay Fort for a delicious sit down meal and to toast their new future together as a married couple. 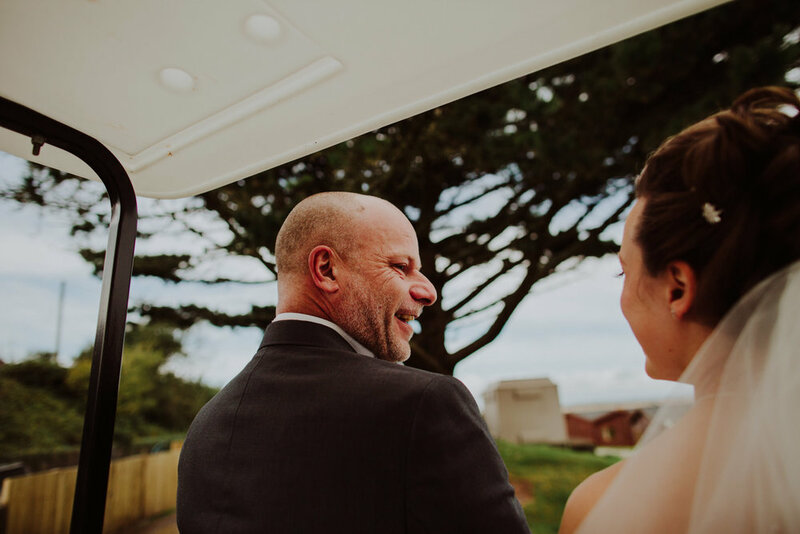 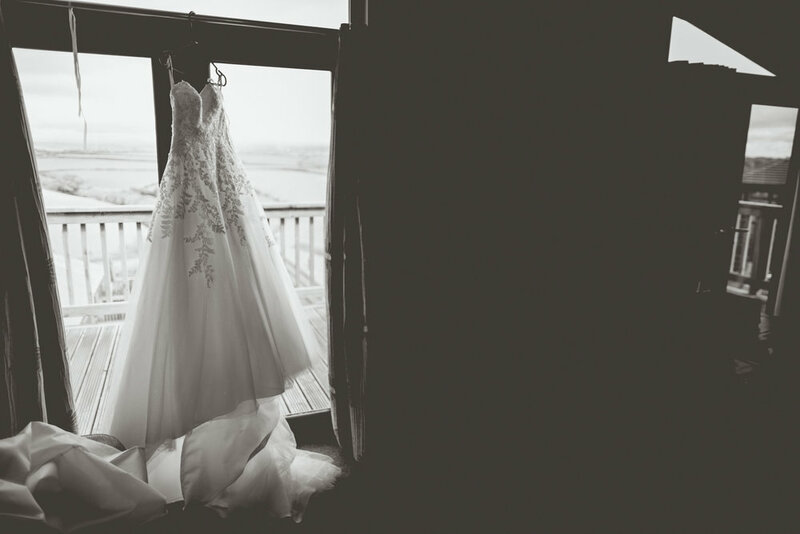 Beth, Corran - it was an absolute pleasure to photograph your wedding day on the beautiful Cornish coastline. 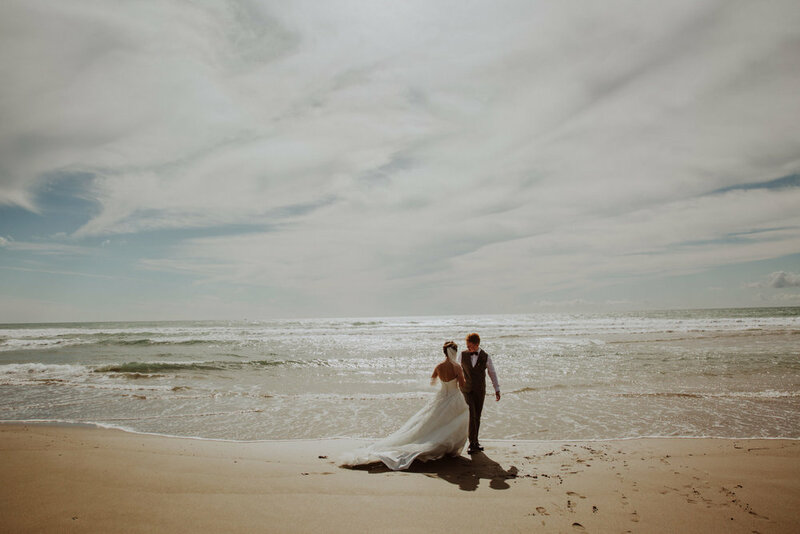 Wishing you every happiness for your wedded future together!